See the light! 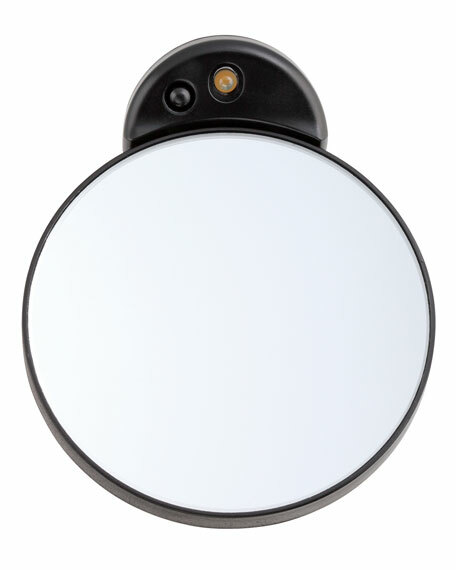 Isolate even the finest hair for precise, easy tweezing with our optically correct and lighted 10X magnifying mirror. Clear from edge-to-edge with no distortion  you won't miss a hair. Perfect for detailed, precision tasks. Illuminated to help you see anything you might normally have missed. 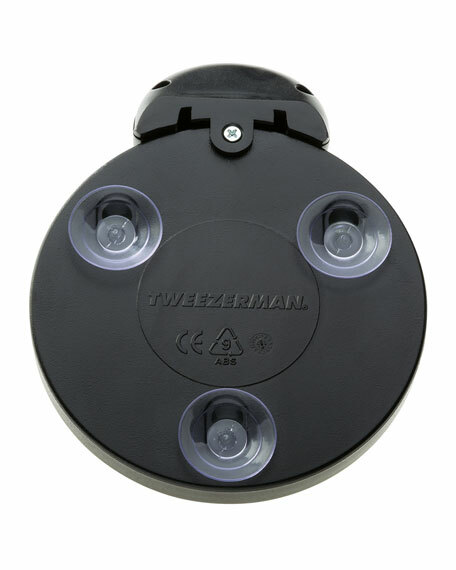 Identify and isolate even the smallest or finest hairs for precise tweezing. Suction cups attach to vanity mirror or other clean, smooth surface for convenient, hands-free use. Attach to vanity mirror or any clean, smooth surface by gently pushing the suction cups on back so both compress and adhere firmly. For better holding power, first moisten cups slightly. To remove gently lift edge of each cup to release suction. Do not use in direct sunlight. This mirror takes three AG10 batteries. Giclee reproduction on canvas of original artwork by Dyann Gunter. Hand finished to reproduce the textures of the original work.